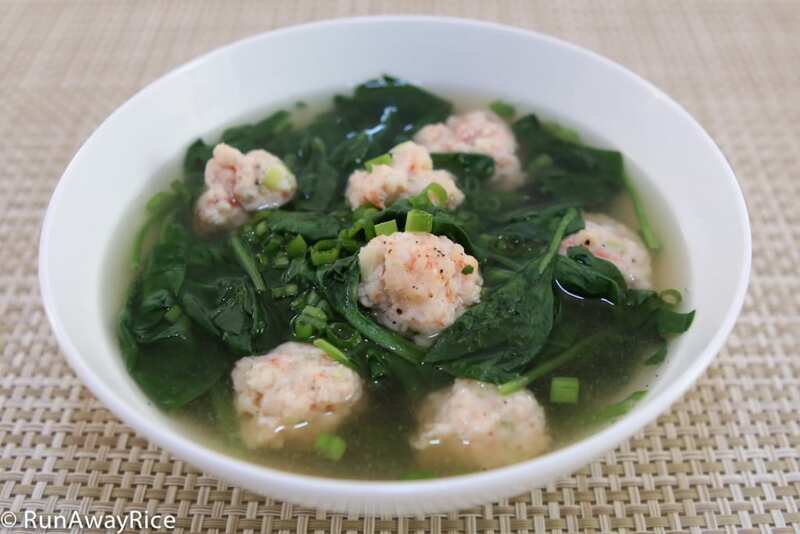 This Spinach and Shrimp Balls Soup (Canh Rau Spinach voi Tom Vien) recipe makes a light and healthy dish your whole family will enjoy. Forget about eating frozen, overly processed shrimp balls. (They taste like rubber!) These homemade shrimp balls are easy to make and so healthy. Don’t worry if the balls aren’t perfectly round. They aren’t meant to be in this earthy, hearty soup. Not a fan of spinach? Try another leafy green vegetable like mustard greens. 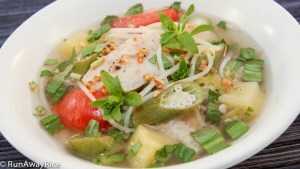 Opo or Italian squash and zucchini work well in this soup too. This delicious Spinach and Shrimp Balls Soup is a wonderful addition to round out any family meal. 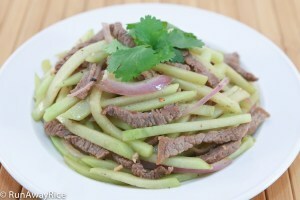 Finely chop a 2 inch section of the green onion tops and set aside in a small bowl. 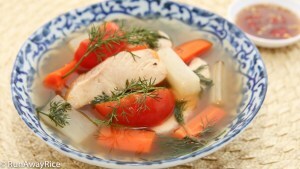 (This is used to garnish the soup just before serving.) Finely mince the remaining green onions and set aside on the cutting board. Slice the shrimp in half lengthwise. Lightly smash each piece of shrimp with a pestle or meat hammer. (This gives the shrimp texture and will make the balls nice and springy once cooked.) Add the minced onions to the shrimp and finely mince, combining both ingredients together. Season the shrimp with sugar, ground black pepper and 1/3 Tbsp (1 tsp) fish sauce. Combine well. In a medium saucepan, add the chicken broth and water. Bring to a gentle boil over Medium High heat. 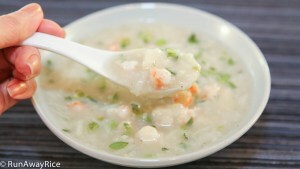 Scoop out a bit of the shrimp mixture using one spoon and use another spoon to smooth and shape the shrimp into a small ball. Drop the shrimp ball into the hot broth. Continue with these steps until all shrimp balls are made. Work quickly as the shrimp balls cook quickly. (It should take about 2 minutes to make all the shrimp balls. If you need more time, turn off the heat and make all the shrimp balls. Once done, turn the heat back on.) Stir the shrimp balls gently and cook for 2-3 minutes. Increase the heat to High and bring the broth to a boil. Add the spinach and combine with the soup. Add the remaining 1 Tbsp fish sauce. Cook for another 3 minutes. To serve, ladle the Spinach and Shrimp Balls Soup into a large bowl. Garnish with the chopped green onions and sprinkle with ground black pepper. 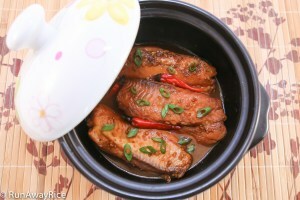 Best Regards & Happy Cooking Trang. I agree with you, Trang– those frozen shrimp balls always taste rubbery and way too processed. Thanks for this! Hi Winnie, you’re very welcome! Enjoy the recipe.